School of Law as Fischel, made a similar assertion (Posner 1986). position was controversial. A few decades later, federal judges, along with Milton Friedman, proposed that the obligation to earn profits overrides the law. During the height of the scandal involving Enron’s multibilliondollar frauds, a Wall Street Journal opinion piece entitled “Corporations Aren’t Criminals” noted: “Under the common law, a corporation could not be guilty of a crime because it could not possess mens rea, a guilty mind” (Baker 2002). Sadly, the author was correct — at least insofar as the current courts are concerned. The mens rea defense is even stronger than the insanity defense. People judged to be insane often face incarceration while corporations go scot-free, even those that profit from the incarceration of others. Finally, if corporations are mindless, and do not need to fallow laws, why do they deserve the same rights as good citizens. Oh yes, in a democracy — one dollar one vote. We are all patriotic. Let’s start with the Star Spangled Banner. “No refuge could save the hireling and slave from the terror of flight, or the gloom of the grave.” Keep in mind that the militias referred to in the Second Amendment seem to have been the groups that hunt down escaped slaves. The elevation of slave owners’ property rights easily morphed into the expansive property rights of those who hired wage labor. This power allowed capitalists to call upon the state rather than militias of slave captors to keep workers’ rights and wages in check. Despite the neoliberal obsession with wage suppression, history suggests that such a policy is self-destructive. Periods of high wages are associated with rapid technological change. For example, after the scourge of the Black Death, which eliminated about a third of the population of Europe, the surviving workers were in a better bargaining position in terms of both wages earned and rents paid. Rapid technological change emerged as a means to cope with workers temporary advantage. The historian, Richard C. Allen, makes the case that wars in the late 18th century removed significant portion of the labor force, again creating higher wages. 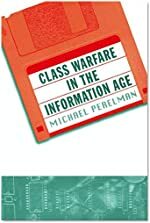 The combination of higher wages and the availability of cheap fossil fueled another burst of rapid technological change, which we now know as the Industrial Revolution. Another historian, H. J. Habakkuk published a book identifying the long-standing domestic labor shortage as the central force pushing the early United States to industrialize so fast that it rapidly caught up with England. The geography of the United States provided a natural experiment for testing Habakkuk’s theory. The southern states, unlike their northern counterparts turned to a more primitive remedy for its labor shortage in the form of African slaves. Slavery was not unknown in the northern states, but they did not put much of a dent in the northern labor shortage. Frederick Law Olmsted, famous for designing New York’s Central Park and also a correspondent of Karl Marx, toured the southern states reporting on their technological backwardness. Recent research does describe significant technological advances in the South in developing machinery to help prepare cotton for sale, but the South remained technologically backward relative to the North, because southern industry was unprepared for modern development. This split between the North and the South spilled over into a destructive form of economic theory. The South was adamant about ensuring a weak government, fearing that public sentiment might eventually encourage the government to abolish slavery. Toward that and, the southern states were able to effectively shape the Constitution in a way that would guarantee a weak central government and special political powers for the southern states. For example, the Electoral College gave disproportionate power to the lightly-populated slave states. Counting slaves as 3/5 of a person, although one without a vote, added to South’s the representation of the in the House of Representatives. Including Senate seats in the Electoral College gave large and small states alike had two more votes, further adding to the Southern advantage. On the ideological front, the South adopted a shallow, but rigid libertarian perspective which resembled modern neoliberalism. Samuel Johnson may have been the first person to see through the hypocrisy of the hollowness of southern libertarianism. Responding to the colonists’ complaint that taxation by the British was a form of tyranny, Samuel Johnson published his 1775 tract, “Taxation No Tyranny: An answer to the Resolutions and Address of the American Congress,” asking the obvious question, “how is it that we hear the loudest yelps for liberty among the drivers of Negroes?” In The Works of Samuel Johnson, LL. D.: Political Tracts. Political Essays. Miscellaneous Essays (London: J. Buckland, 1787): pp. 60-146, p. 142. By the late 19th century, David A Wells, an industrial technician who later became the chief economic expert in the federal government, by virtue of his position of overseeing federal taxes. After a trip to Europe, Wells reconsidered his strong support for protectionism. 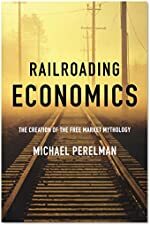 Rather than comparing the dynamism of the northern states with the technological backward of their southern counterparts, he was responding to the fear that American industry could not compete with the cheap “pauper” labor of Europe. Instead, he insisted that the United States had little to fear from, the competition from cheap labor, because the relatively high cost of American labor would ensure rapid technological change, which, indeed, was more rapid in the United States than anywhere else in the world, with the possible exception of Germany. Both countries were about to rapidly surpass England’s industrial prowess. The now-forgotten Wells was so highly regarded that the prize for the best economics dissertation at Harvard is still known as the David A Wells prize. His efforts gave rise to a very powerful idea in economic theory at the time, known as “the economy of high wages,” which insisted that high wages drove economic prosperity. 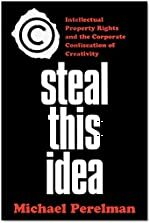 With his emphasis on technical change, driven by the strong competitive pressures from high wages, Wells anticipated Schumpeter’s idea of creative destruction, except that for him, high wages rather than entrepreneurial genius drove this process. Although the economy of high wages remained highly influential through the 1920s, the extensive growth of government powers during World War I reignited the antipathy for big government. 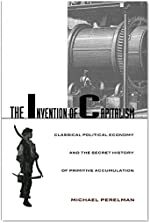 Laissez-faire economics began come back into vogue with the election of Calvin Coolidge, while the once-powerful progressive movement was becoming excluded from the ranks of reputable economics. 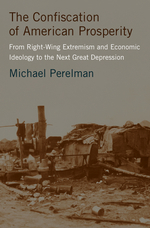 This environment ushered in the short-lived roaring 20s, which were followed by the Great Depression and the reemergence of a strong central government under the New Deal and World War II, which opened the door for Keynesian economics, which has some affinity with the economy of high wages. 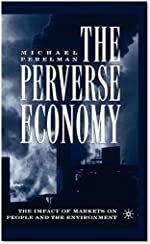 Keynesianism enjoyed a few decades of strong influence until the dynamism of the Golden Age petered out, in large because of the economic distortions created by the Vietnam War. With Barry Goldwater’s humiliating defeat in his presidential campaign, the famous Powell Memo helped to spark a well-financed movement of well-finance right-wing political activism which morphed into right-wing political extremism both in economics and politics. 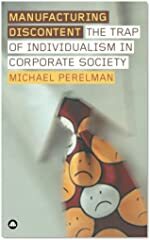 Symbolic of the narrowness of this new mindset among economists, Milton Friedman’s close associate, George Stigler, said in 1976 that “one evidence of professional integrity of the economist is the fact that it is not possible to enlist good economists to defend minimum wage laws.” Stigler, G. J. 1982. The Economist as Preacher and Other Essays (Chicago: University of Chicago Press): p. 60. In short, neoliberalism was surging ahead and the economy of high wages was now beyond the pale. These new conditions gave new force to the southern “yelps of liberty.” The social safety net was taken down and reconstructed as the flag of neoliberalism. The one difference between the rhetoric of the slaveholders and that of the modern neoliberals was that entrepreneurial superiority replaced racial superiority as their battle cry. One final irony: evangelical Christians were at the forefront of the abolitionist movement. Today, some of them are providing the firepower for the epidemic of neoliberalism. Hartung, William D. 2003. How Much Are You Making on the War, Daddy? : A Quick and Dirty Guide to War Profiteering in the Bush Administration (NY: Thunder’s Mouth Press).